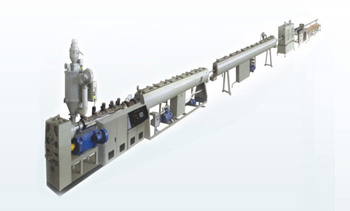 We manufacture PVC compounding line that provides maximum output. It is available in different specification and models. Developed using high grade steel, our array gives optimum performance during compounding process. 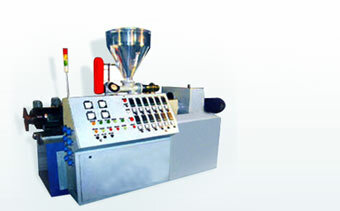 Our range includes compounding line, PVC compounding line and industrial compounding lines. We have with us rich industry experience in offering customers Conical Twin Screw Extruders that find application in the field of PVC Compounding. These twin screw extruders come without die head that helps in avoiding high temperatures because of back pressures that come through die head during processing applications. Single Screw extruder offered by us finds application in PVC Compounding that is extensively used in cable industry in form of cable sheath and insulation as these have superior electrical as well as mechanical properties of PVC material. 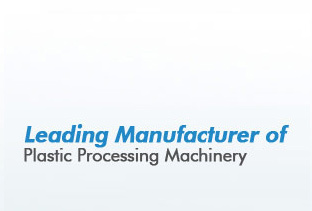 These extruding machines aids in arriving at better compounds with lower manufacturing costs involved.